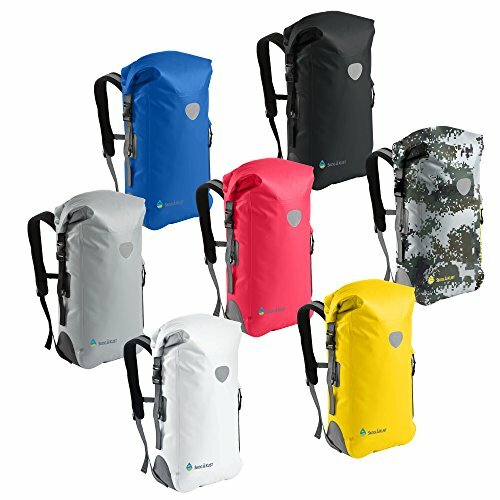 Whether you’re hiking the trails or rafting the rapids, you want to keep your gear safe & dry. 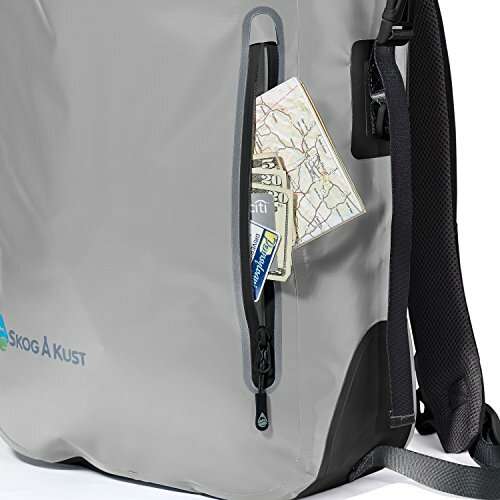 Solution: our waterproof BackSak. 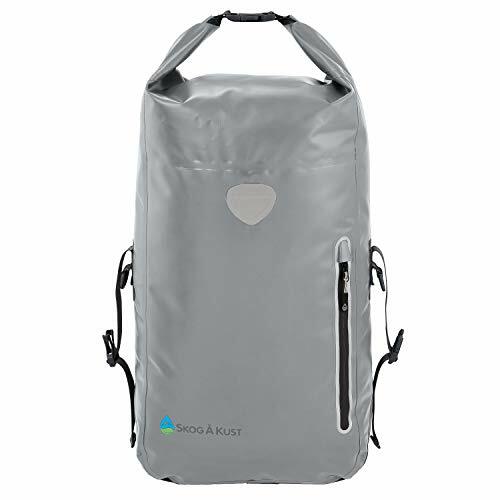 This rugged backpack comes in vinyl-coated woven polyester with watertight welded seams. 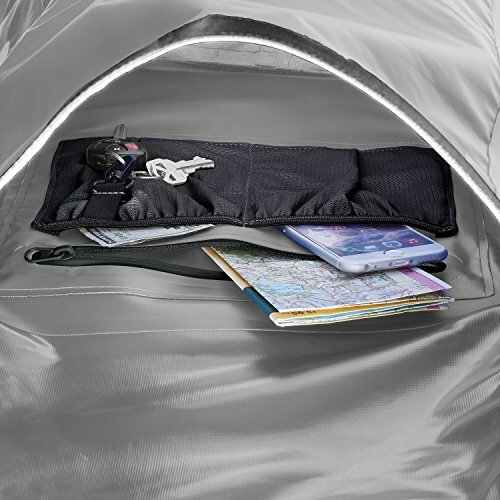 Your BackSak dry bag even helps you stay visible in the dark, thanks to its reflective patch & trim (around the pocket). Added bonus: If it falls overboard, it’s easier to spot & retrieve. 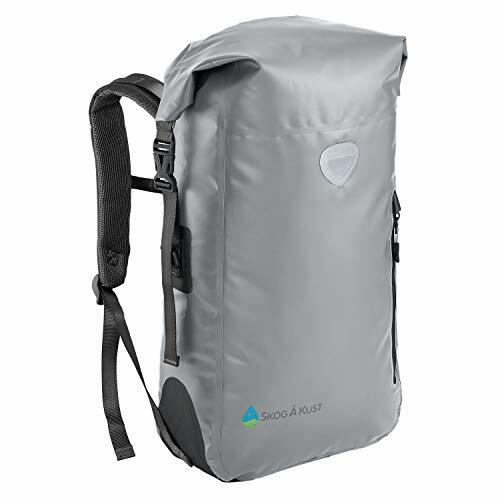 If you’re unhappy with your BackSak, return it for a money-back refund. 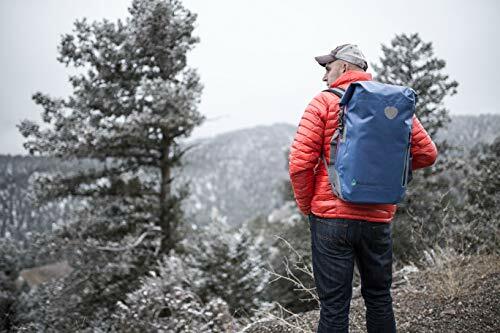 Add to cart now for yourself & all the adventurers you know! 2 EASY WAYS TO CLOSE: Simply fold the roll-down the top at least 3 times, then click the top clip to create an instant handle. 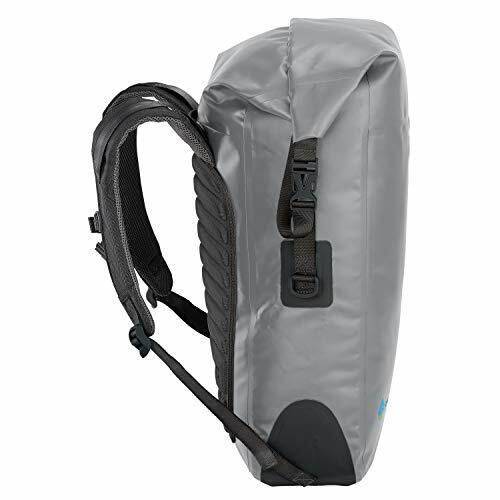 OR use the side clips & adjust for a snug, compressed fit – it’s waterproof either way! 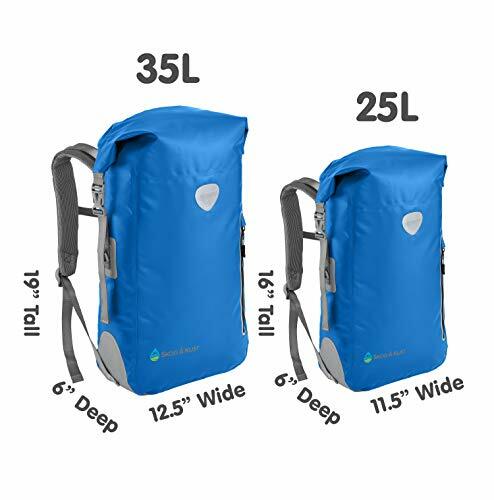 25 LITERS & 35 LITER SIZES: Both our 25L and 35L sizes feature our sleek, simple design – no tacky slogans or garish logos. 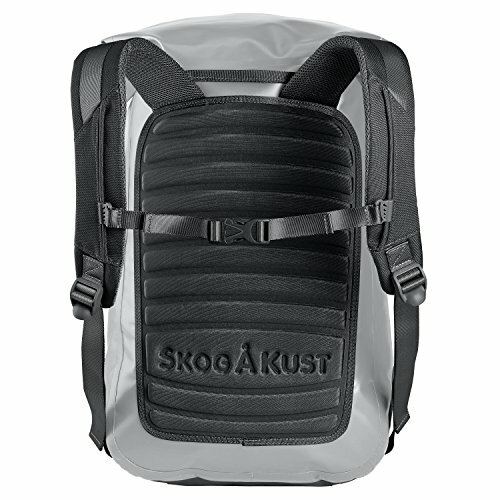 Available in a variety of colors and backed by Skog Å Kust’s 100% satisfaction guarantee.